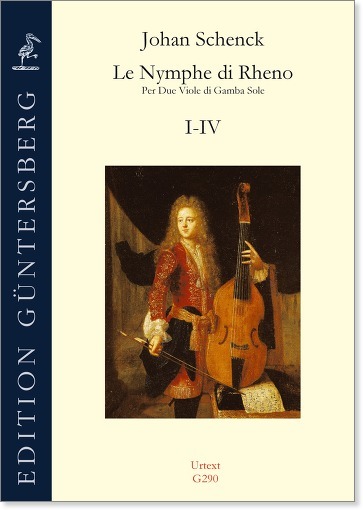 Le Nymphe di Rheno is one of the most beautiful works for two violas da gamba and belongs to the standard repertoire of many gambists. The German-Dutch composer Johan Schenck published the work in 1702. 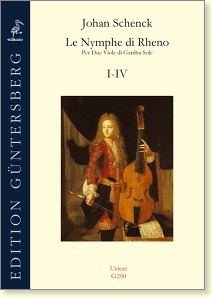 The twelve sonatas for two bass viols display a fusion of Italian, French, and German influences. A rich selection of pieces of varying difficulty awaits the players. With our edition, we pursue the goal of preserving the Urtext as far as possible and yet creating an edition for practical use.